The fifth annual Operation Trivium gets underway, targeting foreign criminals on roads across Europe. 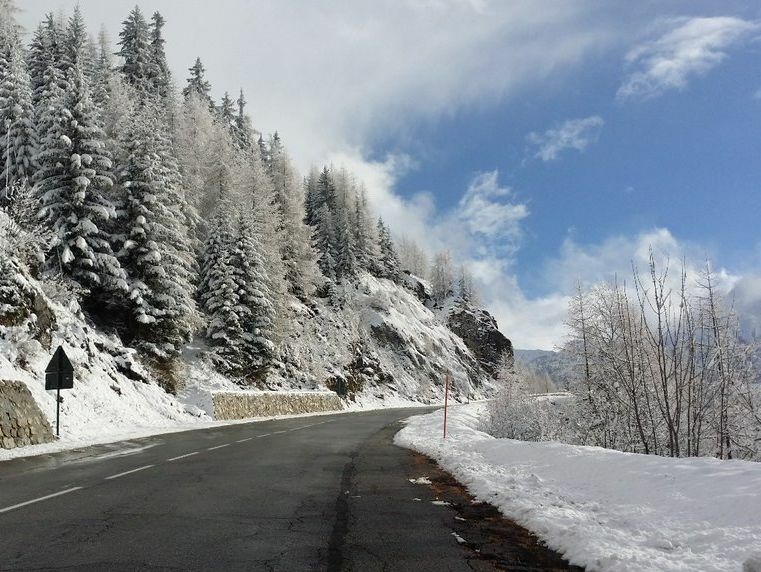 Also, perfect conditions on the road to Val d’Isere. Record low for Portuguese diesel (but still more expensive than Spain). Snowy satnav fail for Iceland visitor highlights ace official English info links. Increased freight capacity between the UK and Rotterdam. Twelve national police forces co-ordinate effort to crack cross-border crime. Specifically targeting foreign drivers might not sound very politically correct, but police engaged in this week’s Operation Trivium insist they ‘target criminality not the community’. The driver picked up in Derby this morning for not having any documents, using a seatbelt or restraining a child properly might dispute that but the headline aim is to disrupt cross-border criminal networks. Eight countries are taking part, from every force in the UK (and Wales) to Ireland, Latvia, Netherlands, Belgium, Luxembourg, Bulgaria and Romania. Lithuania, Estonia, Finland and Sweden have just finished their own similar operation. UK operations are being directed from the European Operations Command Centre (EOCC) at West Midlands Police with officers drafted in from each of the national police forces. 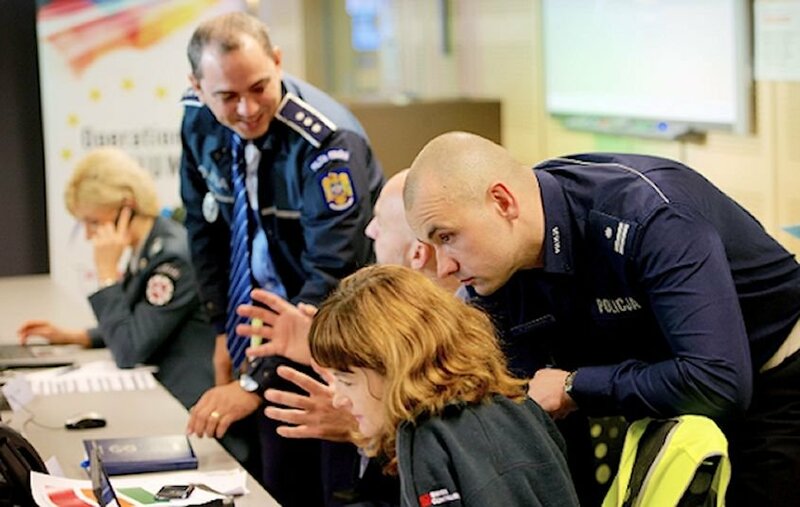 Intelligence is supplied by Europol while the police officer exchanges are organised by TISPOL, the European Traffic Police Network. The operation runs until Friday 27 November. By 13:00, Irish Garda said they had been involved in excess of fifty incidents including vehicle stops, arrests and seizures – by 06:30 the next morning they had dealt with 270 incidents, taken 13 people into custody, arrested seven disqualified drivers and one for unlawful possession according to TISPOL. French Alps: the first major snow fall of the season over the weekend resulted in a near perfect scene on the D902 to Val d’Isere and Tignes: a clear road way but verges – and pistes – fat with snow (winter tyres are still recommended however, and/or a set of snow chains in the boot). It was timely too since Val d’Isere opens officially next Saturday, 28 November. Photo @RadioValdIsere. roundup: CROSSING THE CHANNEL. DFDS will boost freight capacity again on its two routes between Rotterdam and the UK says Port of Rotterdam. From tomorrow (24 November), new ship Britannia Seaways adds an extra 300 trailers each week to the Felixstowe route with six departures per day Tuesday-Friday between three ferries. The Immingham route will receive an extra ship from 30 November which increases weekly departures to nine. DFDS previously announced extra sailings from Rotterdam in June. See the latest figures on buoyant freight movements between the UK and the Continent. PORTUGAL. Diesel dropped to a record low of €1.20 per litre in October says The Portugal News. That was 3 cents lower than at the beginning of the year though petrol has risen by more than 4 cents in the same period. The prices still compare unfavourably with neighbouring Spain according to Fuel Prices Europe where diesel is currently €1.089 and petrol €1.189. ICELAND. A tourist had to call mountain rescue after getting stuck in snow drifts thanks to errant satnav instructions reports Iceland Magazine. The man was near Gullfoss Waterfall in the south attempting to head north on F35. Iceland mag says F roads are not generally passable in winter and that visitors can check road conditions at the official Vegagerdin website, and the weather at Iceland MET Office, both in English.